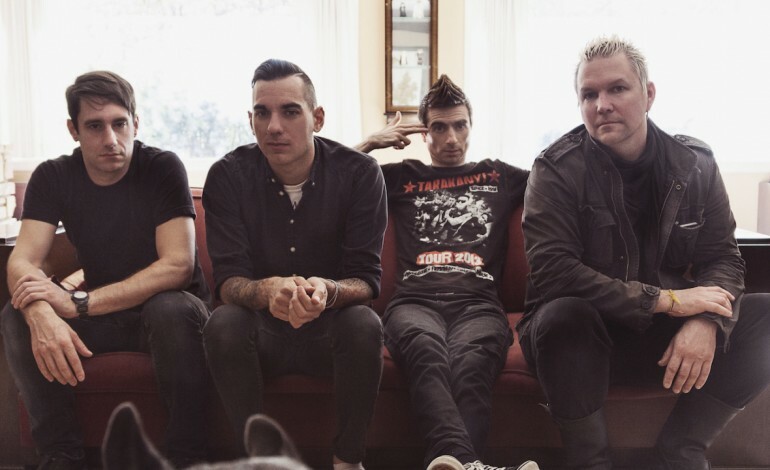 Progressive punk band Anti-Flag is hitting the Regency in the new year and doing it in a big way. The band is co-headlining with ska band Reel Big Fish and is also featuring Ballyhoo! and PKEW PKEW PKEW as their openers. Anti-Flag first started out in 1992 and these dudes have been killing the punk scene ever since. Their fast paced, heavy punk style is perfect for a good time and a good show. They’ve kept it true to their punk roots in every album they’ve dropped thus far. Recently the four piece dropped their latest album called American Spring in 2015; after that they put out an album full of rerecorded songs entitled Cease Fires the same year. Their biggest hits include This Is The End (For You My Friend) and The Press Corps from their hit 2005 album For Blood and Empire. Anti-flag is known for their politically fueled lyrics and their anti-war, anti-imperialism, anti-establishment vibes.They scream rebellion in the best possible way. Lyrically they are the embodiment of punk music. They rage against the government in their song Die For The Government, they hate on consumerism in The Consumers Song, and passionately sing about their general hate for the dishonest in society in a personal favorite, Fabled World. Fans of punk legends NOFX, Descendents, and Bad Religion are sure to be familiar with the band and those who are newer to the punk scene who like Title Fight or Against Me! should quickly become familiar with this punk band cornerstone. This band is one of those quintessential punk bands that all musical fans should know. They are progressive, in your face, and just a freakin’ delight to watch on stage. Check them out and support this long standing band for an experience you’re sure to remember.